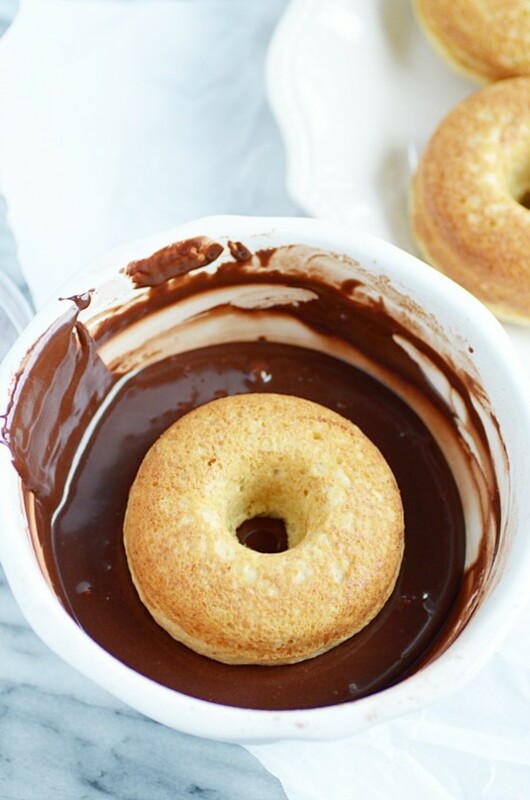 Follow this SUPER quick and easy recipe for a delicious chocolate glaze that is perfect for donuts, cookies, cakes, cupcakes, and more! This is my favorite chocolate glaze. 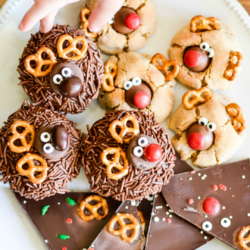 With only 5 easy ingredients needed, I bet it’s going to be your favorite too! I made this recipe for the first time when I was making a copycat of my favorite NYC Black and White Cookies. Obvs, this glaze is for the “black” half. I like the vanilla side too, but I find myself using the chocolate version more often to top a variety of different treats. It is PERFECTION on donuts. Especially coated in sprinkles. I’ll be posting this vanilla donut recipe soon. But in the mean time you should really try this glaze on these chocolate cake donuts. It’s killer. 1. It’s SUPER easy to make. 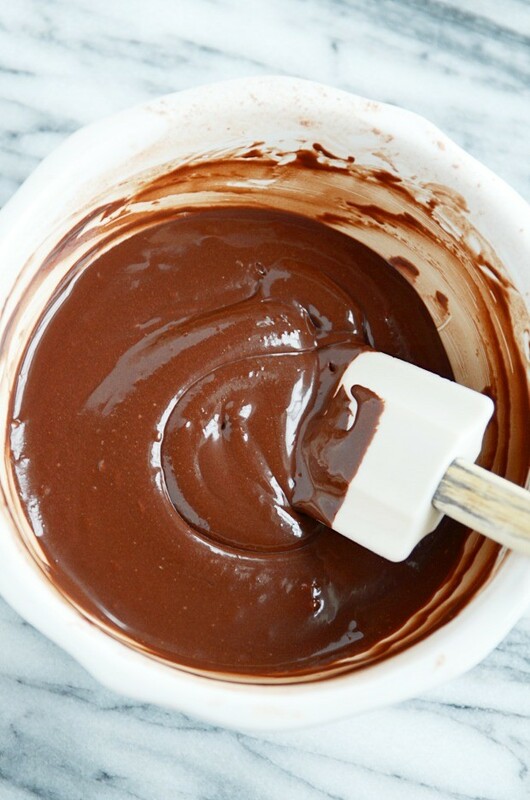 Just toss everything in the bowl and whisk until smooth. Easy, easy peasy. 2. It has a really great consistency. It’s thin enough to be nice and spread-able (even pour-able), but it’s thick enough that it doesn’t just run all over the place. It pretty much stays where you put it. 3. It sets up really nicely if you leave it uncovered or if you refrigerate it. Which is just nice, because = less mess when eating = ????. Look at that gorgeous shiny bowl full of chocolate! 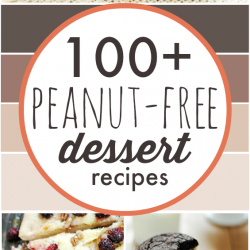 Use it to top cookies, dip apple slices, drizzle over cupcakes, or spread it over a sheet cake. 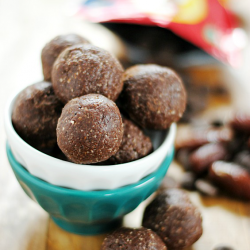 So many delicious uses for this simple, must make recipe. 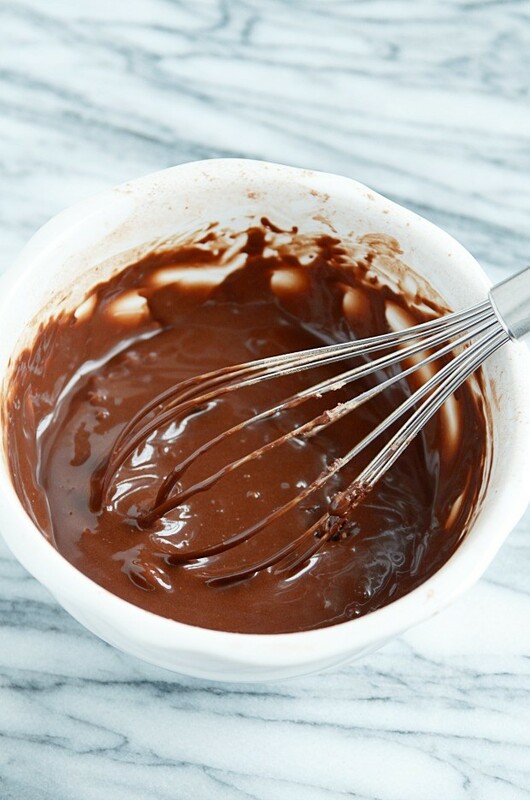 Simply whisk all ingredient together in a stand mixer, using the water to adjust for desired consistency. 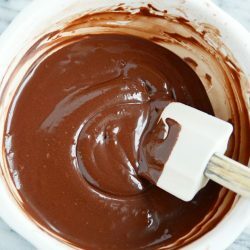 Use a spatula to spread on cookies, cakes, donuts, ect. I just made this glaze and it is delish!!!!!! I have tried a few dufferent recipes and some where bitter but this one was nice. I used it to glaze baked donuts and my choco-holic son loved it. I just mixed everything up with a whisk and it was great! I will definately make it again ! Thanks! How much cocoa? Is that 1/4 c?